The English domestic cricket season of 2019 is going to be all about the year of 2020 as The Hundred rears up like a tidal wave in a disaster movie. Not even Dwayne ‘The Rock’ Johnson can stop this catastrophe now. The Hundred draft is in October as domestic players and coaches position themselves to be part of it and if they are not then they may not be professional cricketers three years from now. If they have a good Vitality Blast lesser known players going nowhere fast may be invited to the party to earn decent money. That could well be the main motivation this campaign for the 190 or so English qualified who take the field in April. The Hundred needs a minimum 95 of those local lads for the 8 team 15 man squads over the 35 days in late summer and that could well be nearer 110 as absent England internationals and injuries mean replacements on the pay roll. Now, if you think that a big chunk of county players are ineligible Kolpak’s and overseas lads for The Hundred you can see the chances of getting a deal for the smaller county players is possible. It will be a life changing opportunity for some if they get to perform in The Hundred as they could well get picked for other world leagues and so lose the appetite for the county slog. It will certainly change the English domestic game forever. 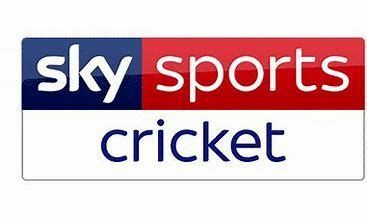 The Sky campaign will be in full force next year to wreck The Blast as they will need those fans to make The Hundred work commercially, the much bigger investment and the future of English cricket in their minds. It’s almost like The Hundred has been set up to spite The Blast democratic success. For Northants its guys like Josh Cobb, Adam Rossington and Alex Wakely that will feel they can get a deal and so if The Hundred does destroy the integrity of first-class cricket this will be their pay check in the future. Would a county pro want to get injured in the red ball as The Blast nears now? We know Cobby won’t have that problem in June as he normally has his feet up with a tabloid as the championship rages but for guys like Wakely and Rossington this is a huge season. I’m sure other Northants lads fancy their chances but with coaching staff for The Hundred now likely to be pulled from the big counties, nepotism will end the chances of many at the smaller counties. The Hundred is divisive if nothing else. The good news for the lads is their money is about to go up in domestic cricket as the players union has forced the minimum and maximum salary cap up with money from The Hundred bankrolling it. The new higher limit (£2.5million ) favors the big test match counties, of course, and the smaller counties are committed to spending a minimum £1.25 million on squads, a 25% rise of the wage bill for Northants. The minimum wage for a pro and qualification for a wage has also changed. If a kid pays just five championship games and two Blast games then he’s a right to be a pro and ask for a minimum 27 k a year the following contract. It may mean the second team structure will change radically as clubs avoid playing second team lads for more than 4 championship games to avoid putting them on the payroll. On the pitch and another poor Blast campaign is likely for Northants. We have lost white ball match winners Duckett and Gleeson and replaced with the untested Zimbabwean Blessing Muzarabani and Ben Curran. If Blessing lacks control with that pace and height he will get smashed and doesn’t offer much in the fielding arena for me. Bringing in Pakistani Faheem Ashraf for the slog is a tale of what might have been as we apparently went big on AB de Villiers in the autumn. We offered the South African great money and Charles Spencer chipped in with a grace and favor apartment at Althorp House with all manner of adds to tempt one of the greatest white ballplayers ever to the shires on top, unlimited Castleberg and the use of Lord Naesby’s knackered old Bentley to crunch the gravel. Charles Spencer had previously chipped in £20,000 for another overseas going back a bit and a bigger supporter of the club than I thought. But it was not to be an AB chose to sh*t gold bars at the even more stately Lords and so we scrambled around and came up with Ashraf , the type of all rounder that ends up in the Pakistan team purely because he is the only one left that hasn’t been banned for match fixing . His record is pretty poor in their T20 side. I don’t mind a mystery spinner they haven’t seen - or picked- from that part of the world but not a mystery medium pacer with a not so mystery slow ball so much. This guy will be a wild pinch-hitter like Afridi. I hope it works and it has to work but he doesn’t look a match winner to me. At least Graeme White will now get some cricket as the go to spinner in The Vitality Blast.